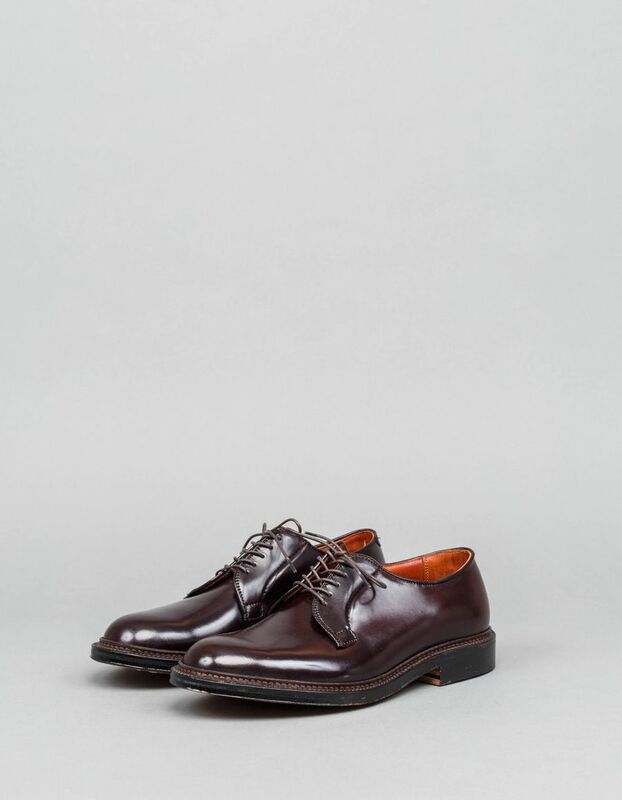 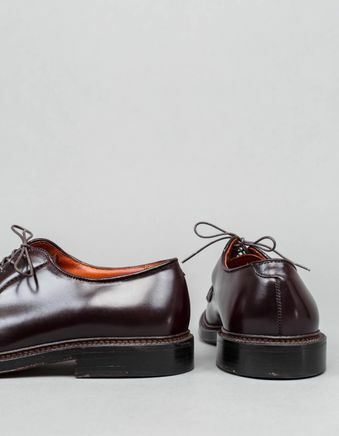 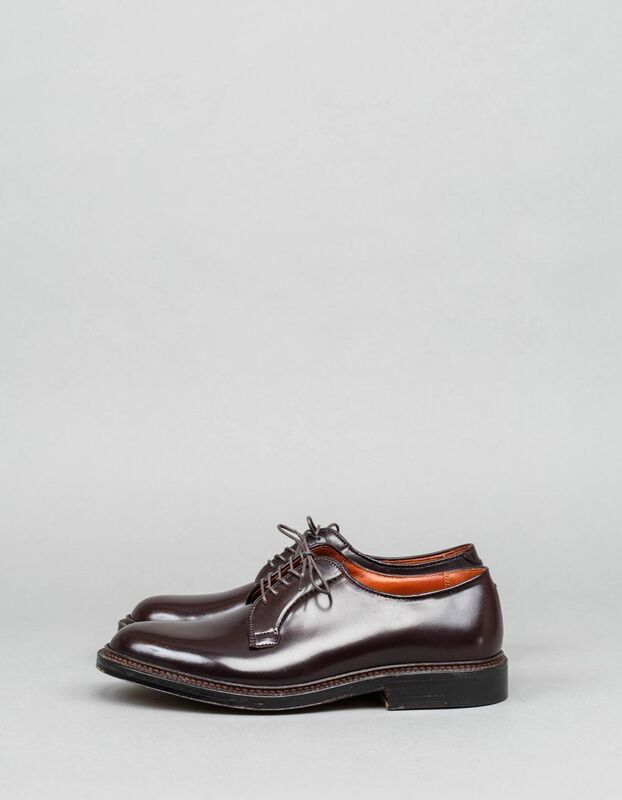 ‘Cordovan Derby’ Model 990 and 9901 from Alden shoemakers. 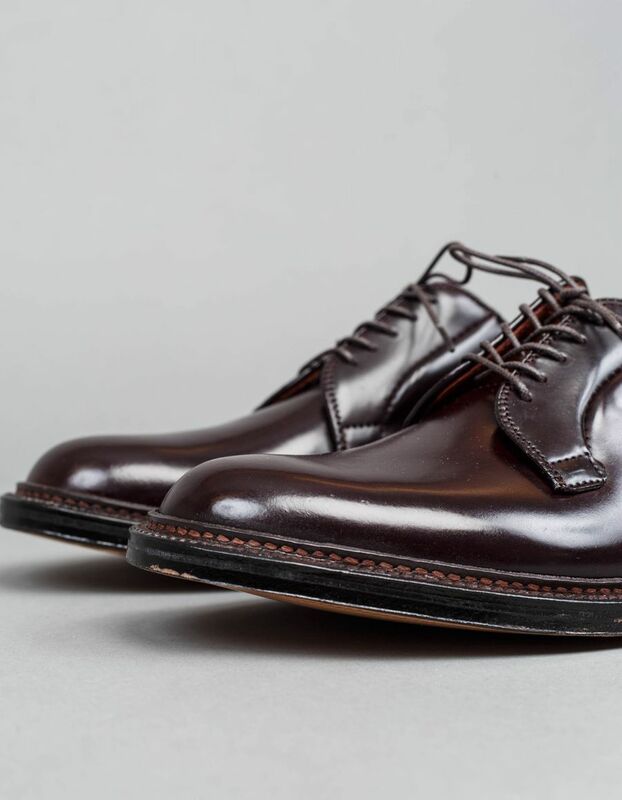 Using the centuries-old method of pure vegetable tanning and hand finishing, the single tannery still producing genuine shell cordovan today is indeed practicing a rare art. 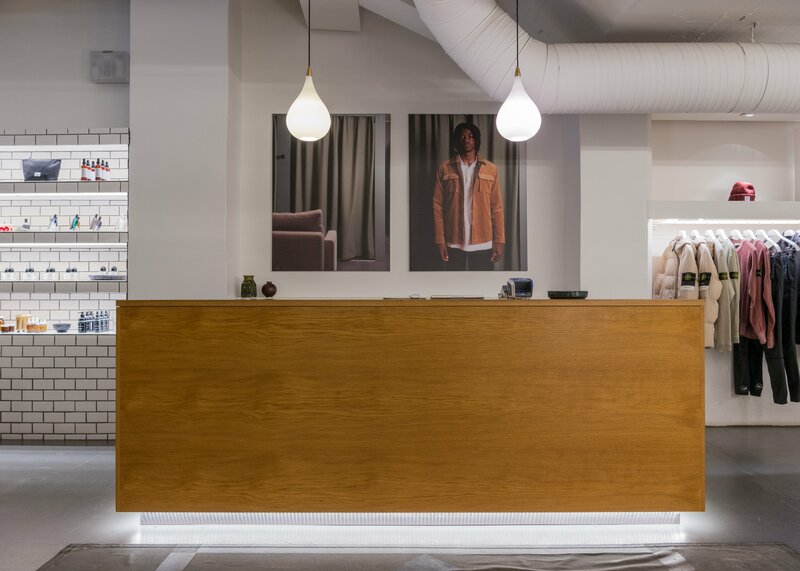 The tanning process takes a full six months to complete and produces leather that is soft and supple, yet very durable. 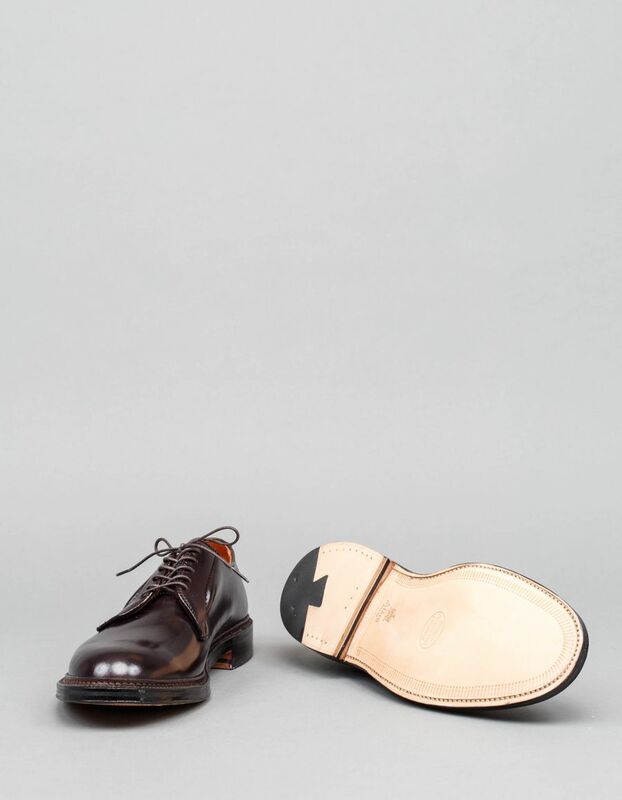 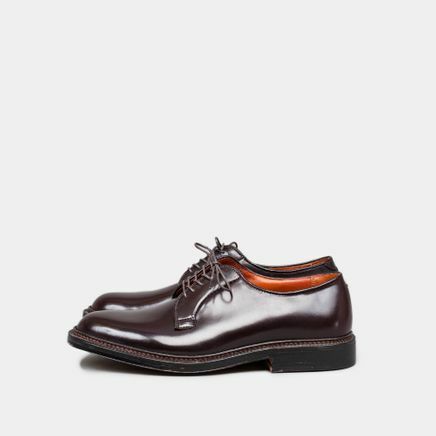 Every Alden New England shoe carries a tempered steel shank, precisely contoured and triple ribbed for extra strength. Oak tanned leather bends are cut into outsoles at factory for maximum control of quality. 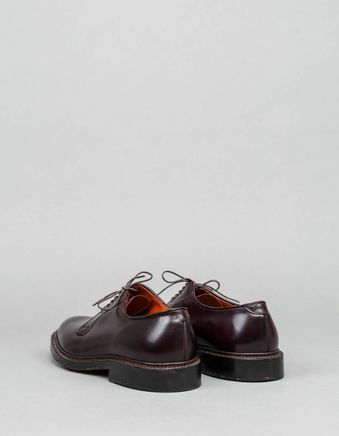 These pristine leather lace ups comes with storm welt, wooden stacked heel, round toe and oiled sole.